We are direct importers, exporters, retailers and wholesalers of all our ranges, so regardless of your order size and requirements we can meet it. 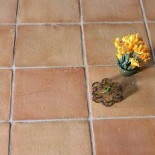 As one of the only companies in the U.K. that supplies only terracotta Living Terracotta have a terracotta tile suitable for every project, whether it is in your home, commercial premises or business, we also supply to retailers, construction companies, architects etc. No amount is to large so please contact us for the greatest deals and quality guaranteed. Over many years we have hand picked and chosen the manufacturers we work with to offer our customers the best products at the best prices, the way we keep our prices as low as we do is by having no warehousing or shop premises, this means we can pass these savings on to our customers. This is how we can offer our products below retail prices direct to the public.